Last week Canadian Brigadier-General Jay Janzen gave a presentation at Mount Royal University in Calgary wherein he exhorted all Canadians to be wary of Russia’s disinformation campaign. Janzen’s official title is the Director General of Military Strategic Communications, so it is safe to say the he is dutifully spouting the party line. According to Janzen, average Canadians need to be aware of the fact that Russian President Vladimir Putin has “weaponized” information and his trolls are actively targeting Canada’s upcoming Provincial and Federal elections. 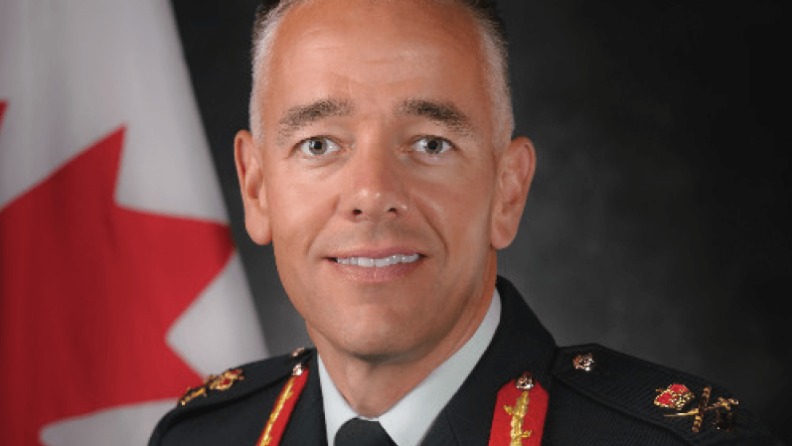 Ironically, it was Canada’s own Chief of Defence Staff, General Jonathan Vance who implemented a policy in 2015 wherein he called for the “weaponization” of the Canadian Armed Forces Public Affairs. This effort is headed by none other than Brigadier-General Janzen, hence it would seem the pot is calling the kettle black. That’s right folks, not only did Putin grab this land, but according to Janzen this is the first such occasion anyone has used military force since 1945. So, off the top, Janzen makes a ridiculously wrong overview of the past 74 years and then points to the west as the purveyors of peace and the ones who set up the rules for the world to follow. On his first claim that Putin and the Russians are the first to use military force to seize terrain since the Second World War, how is it possible that this man rose to the rank of Brigadier and yet remained completely unaware of the multitude of wars which have taken place, not only in his own lifetime, but also while he served in uniform? Even if you want to stick with the ‘bash Russia’ theme, how could Janzen not remember the Soviet Union’s decade long occupation of Afghanistan from 1979-1989. In 1982, Argentina invaded the Falkland Islands to seize terrain. Thanks to the martial prowess of the British military they didn’t get to keep it. In 1983, the U.S. invaded Grenada, which to this day remains a U.S. protectorate. There was a series of bloody conflicts in the 1960’s between India and Pakistan, the result of which being that East Pakistan is now Bangladesh. Saddam Hussein invaded Iran in 1980 and he invaded Kuwait in 1990. He didn’t get to keep it, but he did seize terrain with military forces. The collapse of the Soviet Union and the breakup of Yugoslavia in 1991 led to the military seizure of a lot of terrain by a multitude of various factions. This resulted in widespread ethnic cleansing, and in many cases, ongoing instances of frozen conflicts and unrecognized breakaway separatist states. As for Janzen’s assertion that we in the West set up the rules, let’s hope that Putin does not follow in our footsteps. In 1999, NATO bombed the bejeezus out of Serbia in order to wrest away the sovereign territory of Kosovo. That entity declared independence in 2008, but remains a failed state awash in crime, corruption and poverty. In 2001, the U.S. invaded Afghanistan, toppled the Taliban and established the most corrupt regime on the planet. Canadian soldiers fought and died propping up those Afghan criminals from 2001-2014. The U.S. remains in Afghanistan; the Taliban is resurgent; the drug trade has flourished and the country remains embroiled in a bloody civil war. In 2003, the U.S. lied to the world by claiming Saddam Hussein possessed weapons of mass destruction in order to justify an invasion based on self-defence. That once progressive country has been reduced to a failed state awash in violent anarchy. In, 2011, a Canadian-led NATO mission bombed the crap out of Moammar Gadhaffi in order to ensure a victory for the Libyan rebels. Then it turned out those rebels were a collection of criminals and Islamic extremists. To this day, Libya remains awash in violent anarchy. According to Janzen, the way for Canadians to defeat the Russian campaign of disinformation is to get their news from credible sources.